If you look out at the stars in the night sky, astronomers will point out, you’re looking at the past. Light from distant stars takes years to reach Earth, so we’re seeing them as they were all those years ago. 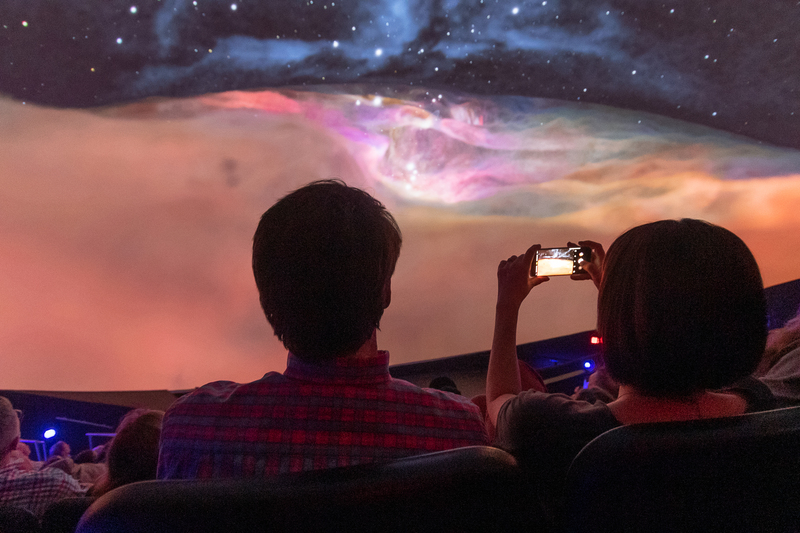 If, however, you look at the stars at the INTUITIVE® Planetarium at the U.S. Space & Rocket Center, you’re looking at the future. 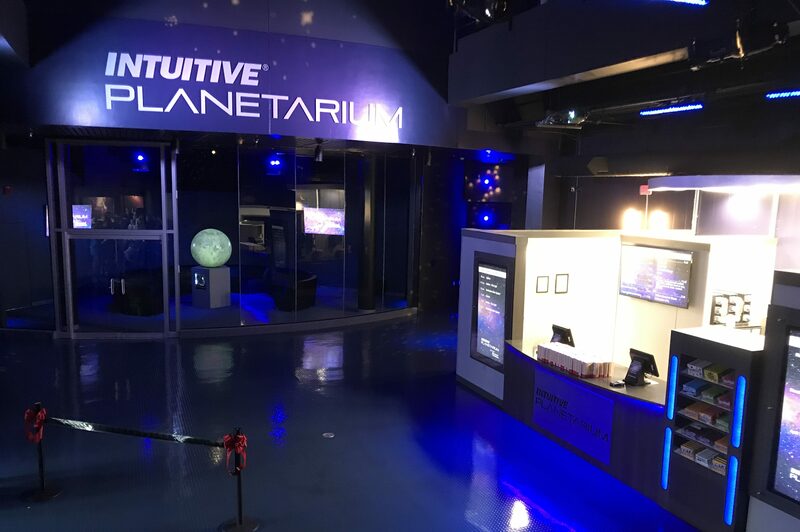 The newly opened INTUITIVE® Planetarium is a first-of-its-kind facility, utilizing the latest technology to create an unmatched experience. And that’s saying something, because that facility has quite a past of its own. 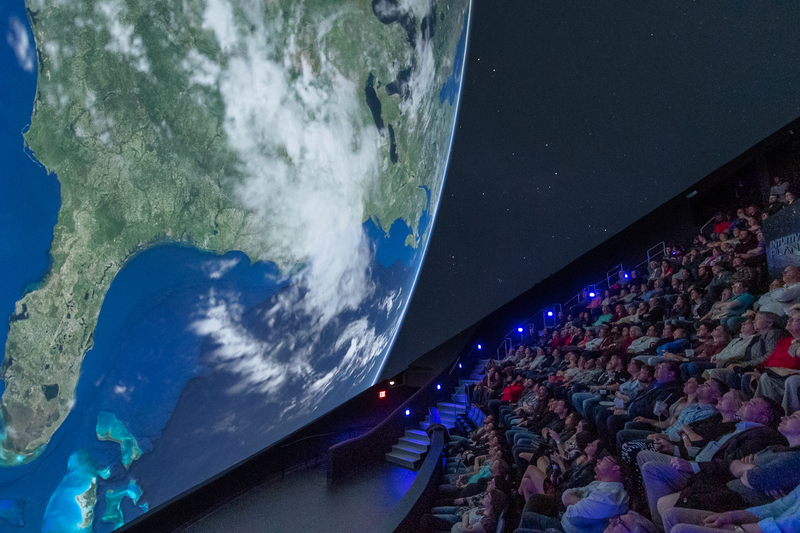 Until recently, the INTUITIVE® Planetarium was the Rocket Center’s “Spacedome” IMAX theater. It was state-of-the-art itself when it opened more than three decades ago. It had its own impressive bit of technology – a 70mm projector that went on to be one of the last of its kind. Visiting the IMAX theater for classic space movings like “Hail Columbia” and “The Dream Is Alive” was a rite of passage for generations of students in Alabama and beyond. It would take something special indeed to live up to that legacy. The INTUITIVE® Planetarium is up for the task. The 8K projection system uses the first-ever Evans & Sutherland ESX cinema system installed anywhere in the world, featuring five Christie D4K40-RGB RealLaser projectors. The dome itself has been retrofitted with a Spitz NanoSeam screen, which hides the seams between panels. Content for the INTUITIVE® Planetarium will come from a variety of sources. There will be a variety of well-known planetarium shows, including Destination Solar System and Explore. Visitors can enjoy great content featured in other planetariums at the Rocket Center. 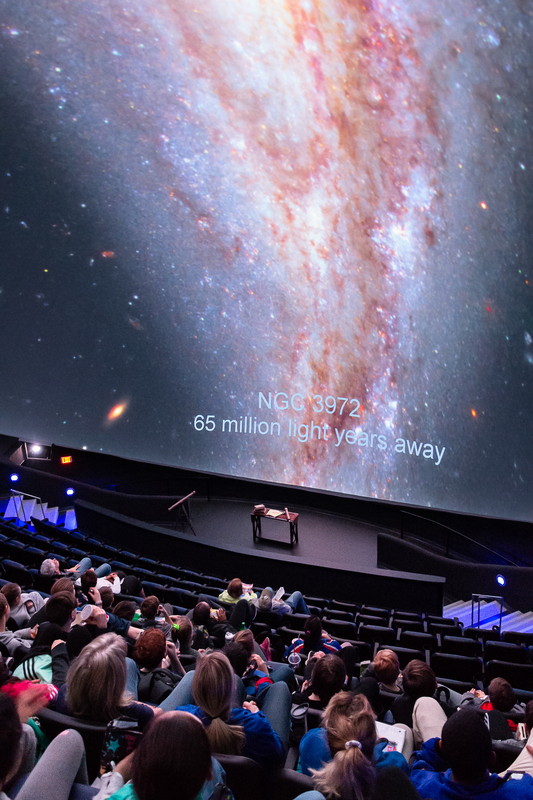 But you’ll also be able to see content at the INTUITIVE® Planetarium you can’t see anywhere else – the planetarium’s Digistar 6 software allows the staff to easily create new shows. It’s debuting with their original show Galileo: First Light. The show includes an actor in costume interacting with both the show on the dome and with the audience. It will bring astronomy to life in an awesome way. The projection system can also be used to stream live content, meaning the Rocket Center has a new tool for letting visitors watch momentous space events live in a BIG way as they happen. Special events at the Planetarium will include regular “Cocktails and Cosmos” features and date nights with child care provided, as well as visiting lecturers.